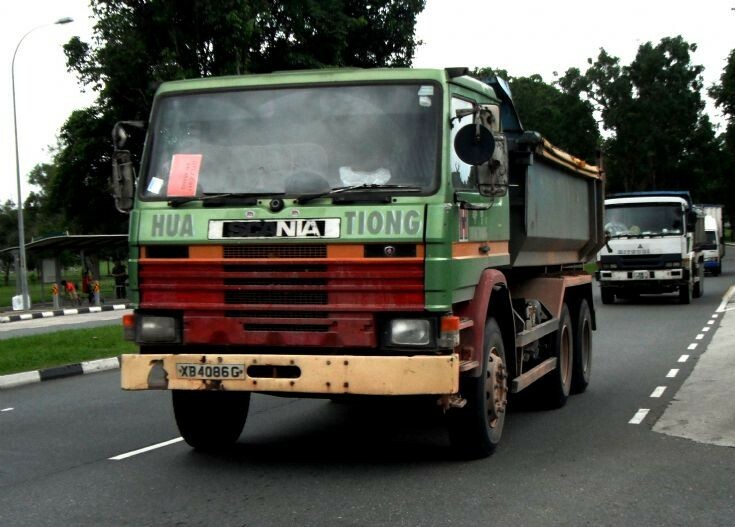 Spotted here at Jalan Bahar in Singapore, this Hua Tiong Contractor’s old Scania P113M 310 series dump truck which comes with an old livery is making its trip to dump the earth that it is carrying to the nearby dumping ground area. This is among the very few old Scania dump trucks that still exist on the roads. Photo taken in Dec 2011.